What can we say about the legend that is Chillipepperpete's Dragon's Blood Hot Naga Sauce? Stuffed full of naga ghost chillies, it's one of the hottest all natural sauce on the market and a firm favourite with our customers. This is our version of a really hot, sophisicated tomato ketchup. Splash a little on your favourite food and it'll taste even better! It's a natural accompaniment to a curry or a fajita, or even a cheese sandwich. 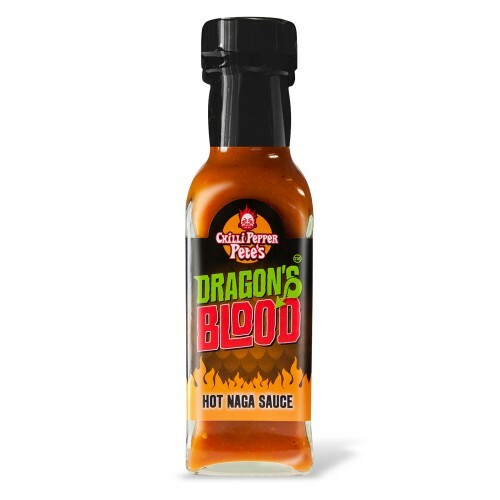 Hot sauce just got hotter!